The latest entry in the Pokemon series has sold more copies than you can shake a Pikachu at in a single day. In addition to selling extremely well in the UK, Pokemon Black & White have shattered the series sales record previously set by Diamond & Pearl in the United States. Nintendo has announced that Black & White combined sold more than 1 million copies in a single day. For comparison's sake, Diamond & Pearl sold 780,000 copies on their release date in April 2007. HeartGold & SoulSilver, DS remakes of the Game Boy Color's Pokemon Gold & Silver, sold close to 2 million copies in the second half of March 2010. According to Nintendo, Pokemon Black & White are the fastest selling Pokemon games of all time with 1.08 million copies sold on March 6, 2011. 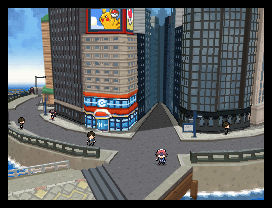 The new versions enticed fans by introducing 3D environments, triple battles, 150 additional Pokemon, and online features. Black & White seem to have hit at the perfect time. The DS has multiple, affordable models available, from DS Lite to DSi XL, leading to what Nintendo says is an install base of 47 million in the U.S. Until the 3DS takes over, and starts to become more affordable (though $250 isn't that bad), it's looking like Black & White will be cash cows for Nintendo.